More change planned for Sandy at 50th Ave. 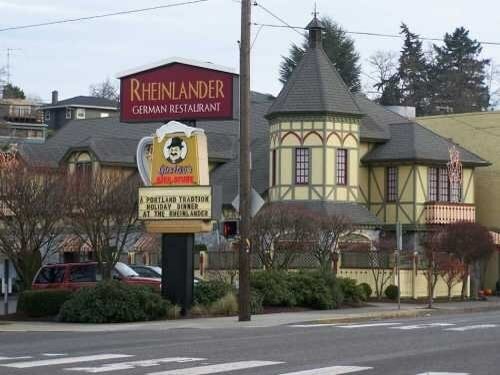 Right across the street from the large Taco Time development, the Rheinlander German restaurant will be closing and the iconic building will be torn down in early 2017. The Hollywood Star reports on the plans for the property, which include a two-story building that will house a branch of The Portland Clinic. You can count this website editor among those who will miss the character of the Rheinlander building and restaurant. If you enjoy classic German fare, be sure to get your last sauerbraten and schnitzel before they close at the end of the year.